BUCYRUS — Every school district in America works tirelessly to help students identify their plans after graduation. Through a partnership with Bucyrus Police Explorer Post 229, the Bucyrus Secondary School is making significant strides to achieve one of its main goals of connecting students with opportunities for career and college readiness. The “Explorer” initiative is part of the Boy Scouts of America (BSA), and Post 229 has partnered with the Marion office of the BSA. 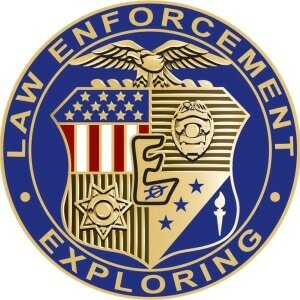 Police Explorers will receive training and mentorship from local police officials and educators. Students were identified for the program through a career survey given in late December, 2016. From this survey, a list of students who’d expressed an interest in law enforcement was provided to Explorer Post #229. These students were invited to attend the Explorer Post #229 Open House January 25. Bucyrus Police Explorer Post #229 would like to thank St. Paul Lutheran Church (Ridgeton Rd. ), Esco Mfg., Sons of American Legion #181, General Electric, IB Tech and all the individuals who have helped make this program possible. “The Bucyrus Police Department is always seeking ways to connect with our community, especially our youth,” said Lt. Walker. “This program provides a platform for us to engage students in positive and constructive interaction, and it is about creating a positive future for our community. Please contact Lt. Tom Walker at the Bucyrus City Police Department at 419-562-1006 for more information about the Bucyrus Police Explorer Post #229.